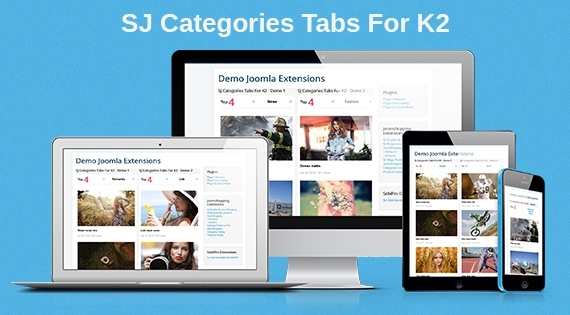 SJ Categories Tabs for K2 is a powerful module for K2 component that presents category's item as tab slider. The tab slider will automatically slide or slide when click based on your configuration. Besides, you also can choose which categories to display as well as the number of item for each category. The module supports for over 10 nice effects with changeable duration and delay time that will stunning display your items. Furthermore, SJ Categories Tabs for K2 comes with an easy-to-use backend and a detail documentation that allow you totally control the module and configure it as the way you like.